Hanz “Falco” Hölzel was an artist forward of his time. His daring, worldwide, synth-drenched type of electrofunk anticipated the sound of up to date pop. Of course, he was hardly unappreciated within the ‘80s: “Vienna Calling,” “Der Kommissar,” “Jeanny,” and particularly “Rock Me Amadeus” all turned large hits, influencing mainstream and experimental musicians alike. The members of the Vancouver, BC industrial and digital band Front Line Assembly had been listening, and a bit greater than three a long time after “Rock Me Amadeus” topped the charts worldwide, they’re respiratory new life right into a music that has by no means precisely pale away. 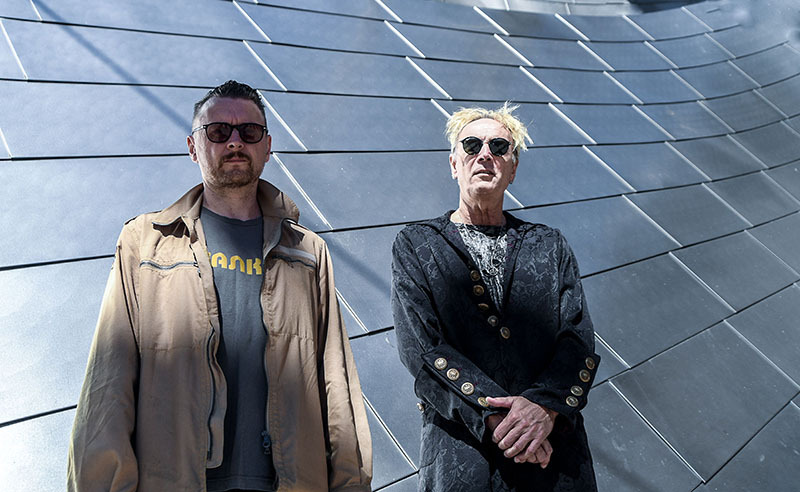 To deliver their model of Falco’s hit to video, Front Line Assembly has enlisted the assistance of a director with roots deep in industrial and digital music. Jason Alacrity has shot clips for Combichrist, Astrid, Skinny Puppy, and Stripped Polaris, and he’s made his personal ferocious, futuristic electro-rock along with his group The Alacrity. His video for “Amadeus” nods, cheekily, to the ‘80s: Jimmy Urine, in red-rimmed shades and a thin pink tie, seems, Max Headroom-style, on an outdated Sony CRT tv. There’s laser lights, old-school threads, and a few classic video results, too – and a rotating bust of Mozart below Miami Vice lighting. The clip feels oddly up to date – brighter and crisper than something from the ‘80s ever seemed. It’s the best accompaniment for the reanimation of a traditional pop quantity that at all times will get listeners singing alongside.